We also have a HYDROBATH which most of the dogs just love! We offer 3 different types of hydrobath - a standard hydrobath, a flea hydrobath and a medicated hydrobath. 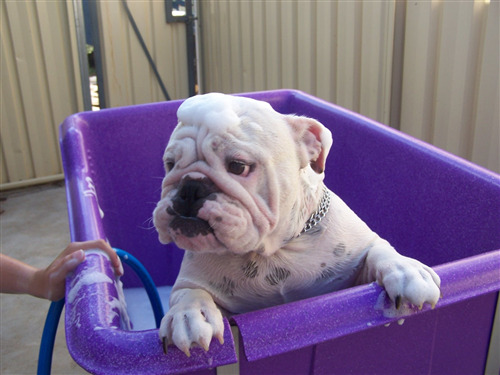 Chat to our friendly staff to see which hydrobath would best suit your pet. The costs of the Hydrobaths range from $15 to $20. We also have hydrobath rewards scheme so make sure you collect your rewards scheme card when you come in. This makes all the difference in the grooming stage and really brings out the shine in your pet's coat. So come and visit or make an appointment today by calling (07) 4622 4477.